Surprise! I'm wearing color today. Two colors! This skirt deserve special treatment as it's the closest I come to a princess skirt. 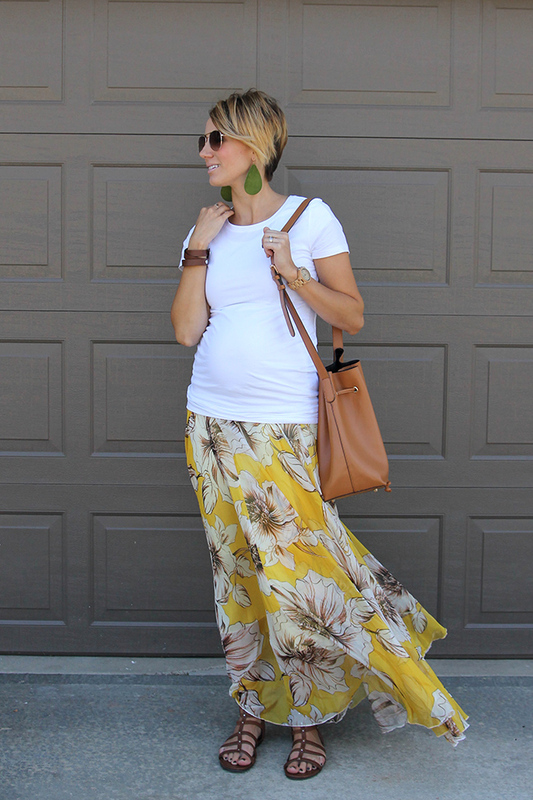 If you have any special occasions left this Summer, I can't recommend this maxi skirt enough. 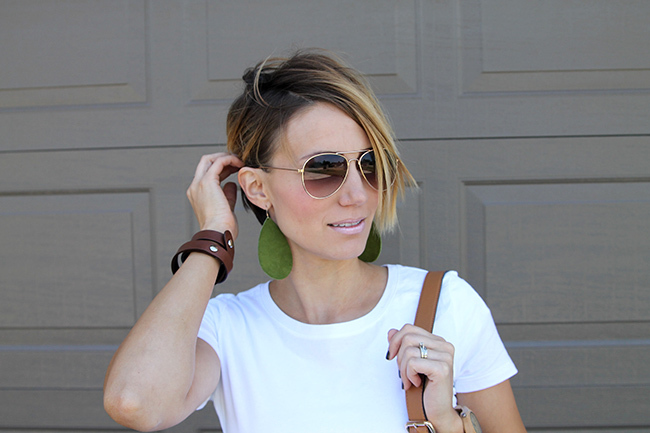 It comes in three colors and compliments abound when you wear it. We're having a slow Sunday afternoon over here. After an eventful weekend camping, I'm grateful to have Sunday to rest and take a break from housework and other work. I even finished the laundry from camping last night so I'm not itching to get much housework done today. We went to church this morning and the missionaries are coming over for dinner tonight. If only dinner were already done too.... I try to make Sunday's different from the rest of the week but somehow dinner always has to happen- even on Sundays. What are you having for dinner? Want to share? I love the color and how the skirt is so light in the wind! Where are you wearing the waist on this skirt? It looks like you would normally wear it higher up but am curious how snug it is when pregnant. What are the sizes of this outfit?? What size did you get on the skirt?? ?